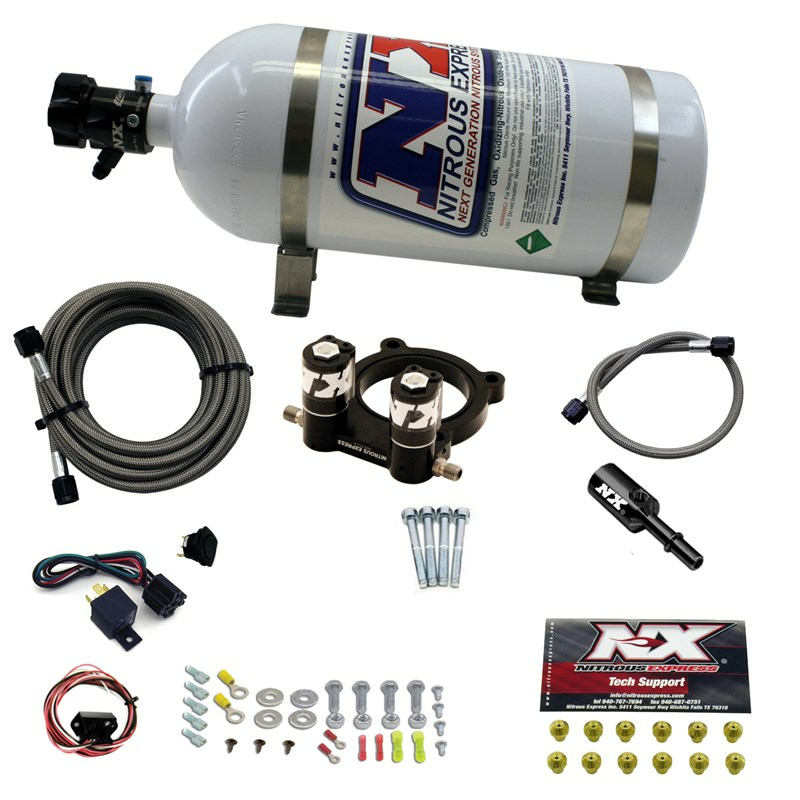 The Nitrous Express 4 Cylinder Ford Ecoboost Plate System features spraybarless technology for the ultimate in atomization and distribution. The billet plate bolts between the throttle body and intake making installation quick and easy. The solenoids are integrated into the plate for a super clean look. A direct-plug-in Fuel Line Adapter is provided to simplify installation (no need to cut your factory fuel lines). 2015 2016 2.3 Ecoboost S550 Mustang Steeda Roush & Saleen Vehicles. No one else can stack up to the bold clean styling of our aftermarket Billet dress ups, Street Strip & Racing Suspension & Performance Parts for your late model American Muscle Car!